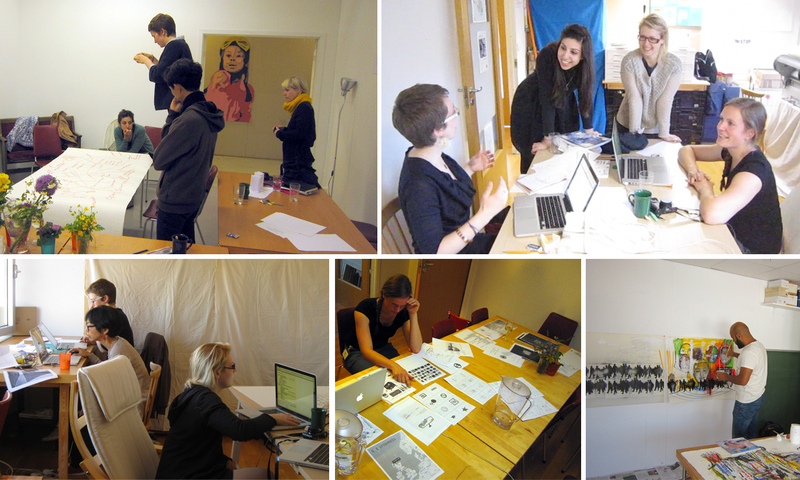 An international artist workshop by Bergen Ateliergruppe (BAG). 13 international artists from various disciplines with experience of /or interest for self organised and artist run practices are invited to share experience and knowledge, talk and investigate possibilities for artist initiated projects in a wide perspective. 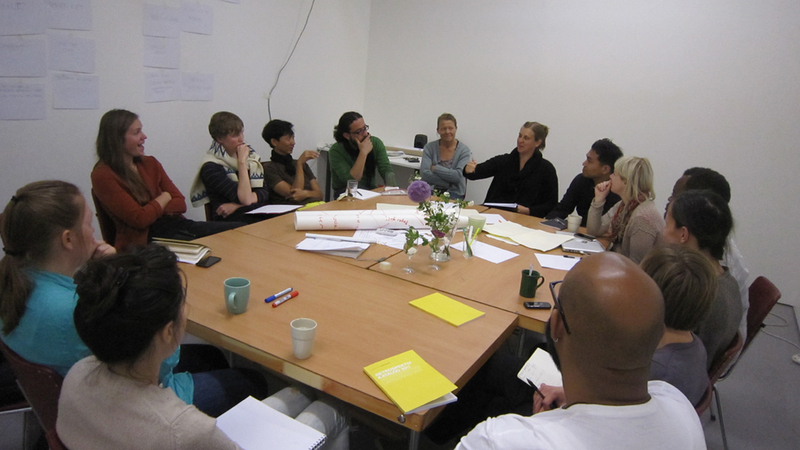 The workshop focuses on the meeting between local and international artists with different backgrounds and experience. It was taking place from May 29th to June 11th 2012 in Bergen, Norway. BAG Art Camp 2012. The challenge as self-organised and artist-run practices without funding or low funding is to be always ready for the unstable situation. Some questions are asked among us such as how to work within institutions as an artist, what is the right format, how is art as a service, how to get access, etc. 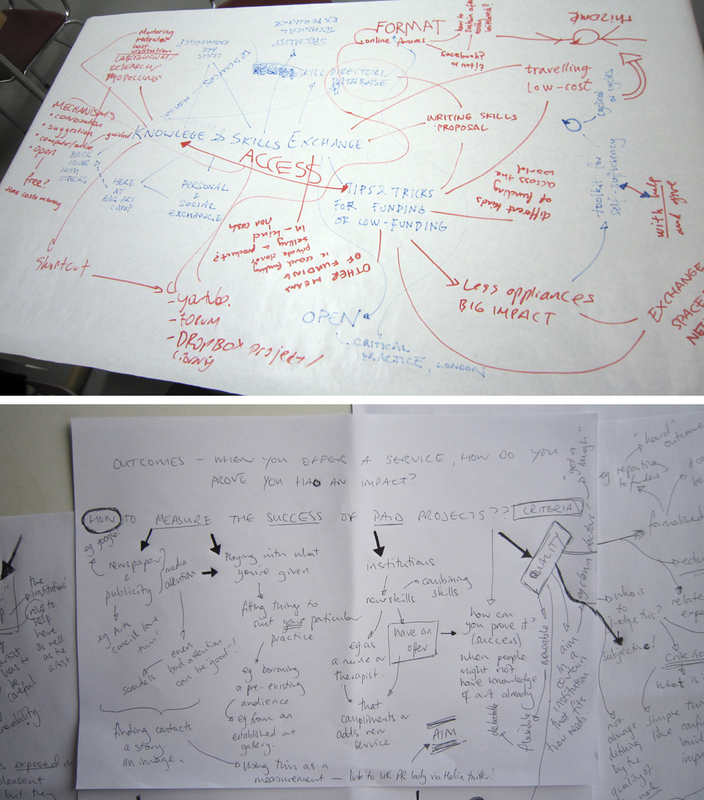 Drawing mind-mappings helps to analyze problems, find solutions and be more tactical.